There are a few ways you can choose an exact time for a task. 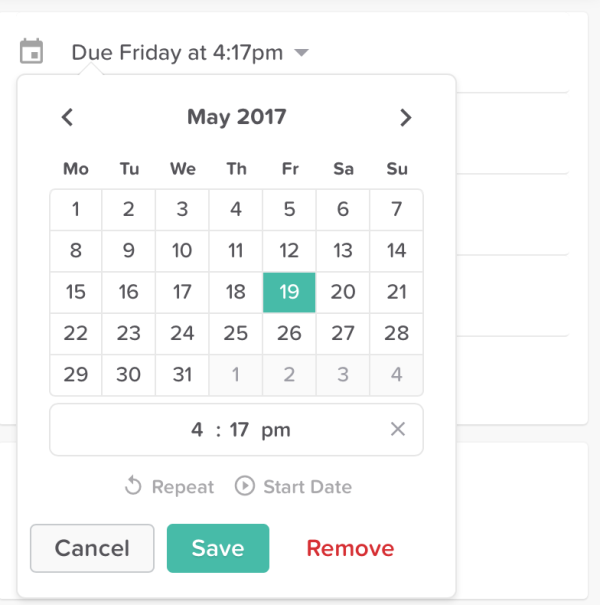 We recommend setting the due time, and then Teamline will remind you (and/or your Slack #channel) 15 minutes before the task is due. Or, in the "Due" menu, select "Custom"